(Nanowerk News) The adult brain was long regarded as being unable to grow new neurons—you were stuck with what you had. We know now that this view is wrong and that the human brain continues to produce new neurons throughout our lives. At least two distinct populations of neural stem cells continue to divide and produce new neurons throughout life in a process known as neurogenesis. One group births immature neurons that migrate to the olfactory bulb at the front of the brain, where they contribute to the sense of smell. The other generates neurons that enter the dentate gyrus of the hippocampus, a deep-brain structure critical for learning and memory. Scientists have previously found a link between reduction in the neural volume of the hippocampus and depression. They have also discovered that antidepressants known as selective serotonin reuptake inhibitors, which include fluoxetine (Prozac), stimulate the growth of new cells in this region of the brain. Both these pieces of evidence suggest that adult neurogenesis in the hippocampus may play an important role in depression. Yosky Kataoka, Yasahisa Tamura and their colleagues at RIKEN have developed an enhanced molecular imaging technique that is so sensitive it can detect small fluctuations in the rate at which neurons are birthed in the brain ("Noninvasive evaluation of cellular proliferative activity in brain neurogenic regions in rats under depression and treatment by enhanced [18F]FLT-PET imaging"). They anticipate that this technique could lead to new ways to diagnose depression and monitor the effects of antidepressants. 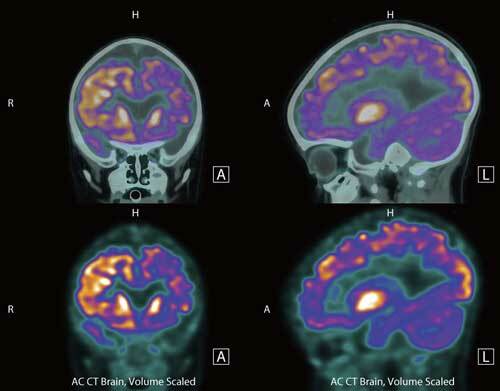 Figure 1: Positron emission tomography (PET) is routinely used to image inside the human brain, and could even be used to monitor the production of new neurons in the rodent brain. Monitoring neurogenesis noninvasively is very challenging. While magnetic resonance imaging (MRI) can be used to observe neurogenesis in rats, MRI tracers have to be injected directly into the brain fluid, making the procedure risky and difficult to perform. Another imaging technique that has been used to visualize and measure the rate of adult neurogenesis in the rodent hippocampus is positron emission tomography (PET) (Fig. 1). PET involves injecting small amounts of a radioactive tracer, which binds to a specific target molecule in tissues and organs, and then detecting the gamma rays it emits using a scanner. This enables researchers to monitor the distribution of the target molecule in an organ. Scientists have used a PET tracer called 3'-deoxy-3'-[18F]fluoro-L-thymidine [18F]FLT that gets trapped in newborn brain cells to try to measure adult neurogenesis. Until now, though, they have been unsuccessful in these attempts because there was little difference in signal strength between regions with and without cell growth. Yasuhisa Tamura of the RIKEN Center for Life Science Technologies and his colleagues suspected that the problem with [18F]FLT was arising because membrane proteins called drug transporters actively pump the tracer out of the brain. So to counteract this and boost the technique’s sensitivity, they tried injecting rats with a drug prior to injecting the animals with the radioactive tracer. The team chose probenecid, a drug typically used to treat gout, because it inhibits drug transporters at the blood–brain barrier. For periods of up to a month, the researchers gave the stress hormone corticosterone, which suppresses neurogenesis and induces depression-like behaviors, to one group of rats. To another, they gave both corticosterone and the antidepressant drug fluoxetine. When they scanned the animals’ brains, they discovered that the radioactivity was strong enough to allow them to distinguish between reductions in neurogenesis caused by corticosterone and recovery induced by treatment with the antidepressant (Fig. 2). Treating the animals with probenecid increased the uptake of the radioactive tracer by the brain, thus making the radioactive signal given off by newborn cells stronger. Figure 2: Positron emission tomography (PET) images show decreased neurogenesis in the dentate gyrus of rats treated with stress hormone corticosterone (second from left), which is restored by treatment with the antidepressant fluoxetine (far right). To confirm their results, Tamura and his colleagues dissected the rats’ brains and tagged newborn cells in slices of hippocampal tissue with fluorescent antibodies. They determined the number of tagged cells by examining the samples under a microscope. In line with the brain-scanning results, this analysis revealed that rats treated with corticosterone for one month had about 45 per cent fewer newborn neurons in the dentate gyrus than untreated control animals. In contrast, rats given both corticosterone and fluoxetine showed no such difference. These results demonstrated that the enhanced PET imaging technique can visualize adult neurogenesis in the brains of live animals and that it is sensitive enough to detect dynamic alterations in the rate of the process caused by treatment with antidepressants. Although antidepressants stimulate adult neurogenesis in rodents, it is not known whether this is how they alleviate the symptoms of depression in humans. Tamura says the enhanced imaging method developed by his team could help to resolve these questions and may eventually help clinicians not only to diagnose depression but also to evaluate the effectiveness of antidepressant treatments. The team is keen to apply their imaging technique to humans. “Since it is known that these same brain regions are involved in depression in the human brain, we would like to try this technique in the clinic and see whether it turns out to be effective in humans as well,” explains Kataoka. Fortunately, this should not be too challenging to do. “Both probenecid and the PET tracer are already applicable to humans, so we can directly translate the work to humans. We are now testing it in non-human primates,” says Tamura.